A multifunctional and durable accessory that allows you to cook over an open fire, the Primus Aeril campfire grill features stainless-steel construction, sturdy folding legs and a solid design. Made from durable 18/8 stainless steel, the 3-liter Primus Campfire Pot has a metal foldaway handle and metal lid so you can use it over an open fire. Primus Camp & Hike Camping Filling Adapter for Refillable Lighters P733870. Primus Backpacking Stove Accessories Ergopump Service & Maintenance Kit P721460. 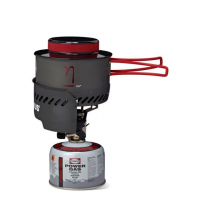 Serve up an off-the-grid supper with the help of the Primus Essential 2 Lite stove kit. 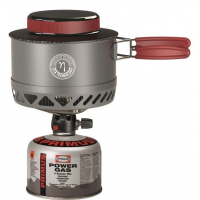 This 1.3-liter aluminum pot features an integrated burner and windscreen for convenient cooking on the trail.